Phuket Signmart is the most recognized leader of Phuket Signage Company providing a variety of signage products and services. We design, produce and distribute installed complete signs in Phuket. The expert team of Phuket Signmart can create effective quality printing signage and acrylic transformation. Also, we can offer you made to order products including signage installation services. Our team will assist you to complete your needs as providing reliable service and professional consultation in order to ensure the best possible solution for your business. 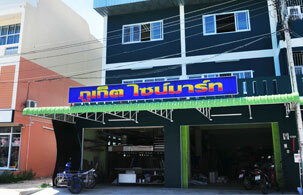 Phuket Signmart offers a wide selection of high quality sign materials. We focus on serving you the best quality printing signs with the perfect installation in Phuket. We believe that good advertising sign can make your business grow. If you are seeking for interior or exterior signs, we are delightful to create the good image for you.